Over a few months I have compiled a series of articles that explain some of my methods and experiences in how to day trade the FTSE 100. 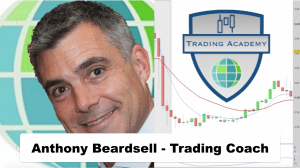 In the articles I explain how to day trade the FTSE 100 in terms of how to prepare for your day of trading and the type of trading setups to look out for. The FTSE 100 is the index of the UK top 100 companies. 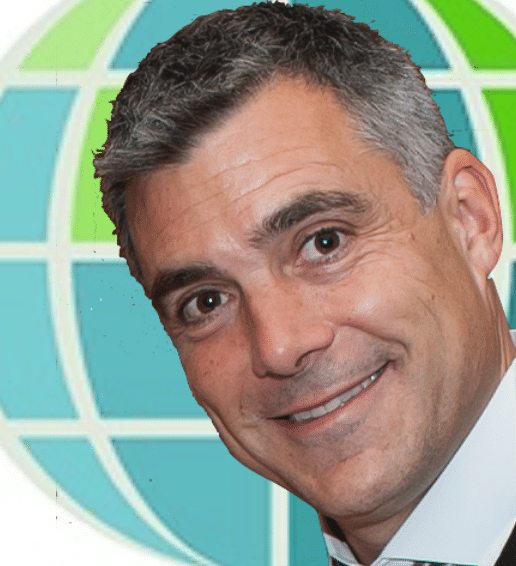 It is one of the most widely traded markets in the world and it is one of my favourite markets to trade. 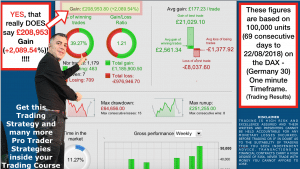 As the FTSE is made up of a large number of individual stocks it tends to produce fairly consistent trading signals with fewer false moves than markets like the DAX and the Dow Jones indices which are comprised of fewer stocks. Whilst day trading the FTSE I will generally use the 5 minute timeframe chart. This is the timeframe that the pros and institutional traders use and as home based traders we should always try to emulate and replicate the actions of the big market players. They have the money to move the markets, we do not! Whilst I trade the 5 minute chart and 5 minute candles this is not the only timeframe that I use to asses trading opportunities on the FTSE. 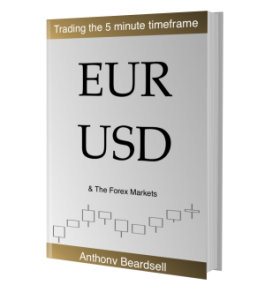 All price action on the 5 minute timeframe also takes place within larger timeframes and many more traders are planning and placing trades on the larger timeframes than the smaller timeframes so I like to get an overview of the market using the daily, 4 hour and 2 hour charts. Context is very important in trading and the longer timeframe charts provide context for possible trades on shorter timeframes. I therefore use the longer timeframe charts to identify possible support and resistance levels and zones for trades on the 5 minute timeframe. The FTSE opens at 8am UK time and I like to give myself about 15-30 minutes to prepare for the open, so I am at my computer at about 7.30 every morning. Tip – Make sure that the calendar is set to your current local time as sometimes the website doesn’t pick this up accurately. Based upon what type of news events are occurring during the day I may choose to exit any trades that I am in prior to the news event since news events can serious move markets. Markets can become highly volatile after news and this can easily shake traders out of trades and produce unnecessary losses. I may also choose to trade the news events and look for possible trade setups that present themselves in the aftermath of the news event. It is also good practice to check a general news website to make sure that there haven’t been any major news stories breaking overnight. Terrorist incidents, major economic news stories, political events and such like can affect markets, especially in terms of early trading. Once I have a handle on what news is coming out I then focus on the charts. I will first of all look at the longer term charts. I will assess the price action on the longer timeframes, the daily, 4 hour and 2 hour charts. Assessing price action in this way is extremely useful in picking up market sentiment, and gaining a feel for what the market may do during the day. 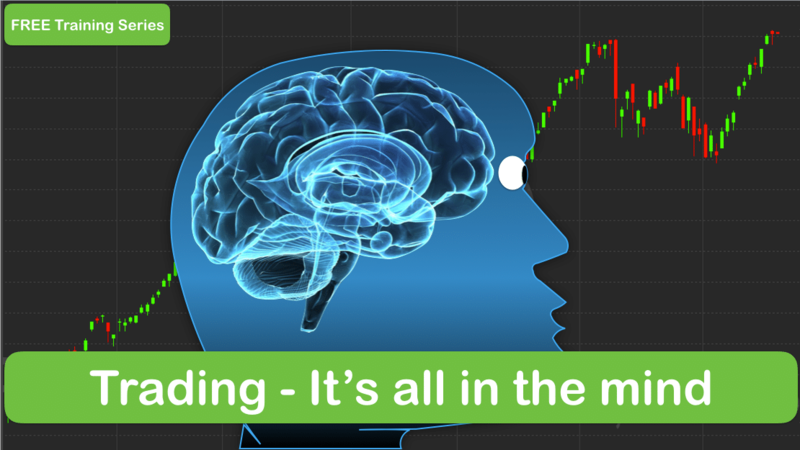 We have a comprehensive section on Price Action analysis on our online trading course – it is absolutely essential to have a good grounding in this part of trading prior to risking your money! I use the longer timeframe charts to plot my trendlines, trend channel lines and horizontal support and resistance levels – this provides the context for my trades on the 5 minute timeframe. I will assess whether the FTSE is in a trend or trading range on the longer timeframes. 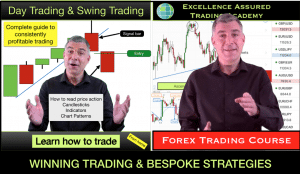 In terms of trends I will assess what stage of the trend the market is in (there are generally five stages – again this is explained in full in our day trading course). I will decide whether to look for momentum trades, pullback reversal trades, trades in either direction in trend channels and reversal trades from the top of the trend. When the FTSE is in a trading range I will plot horizontal lines to represent my judgment of the top and bottom of the trading range. I will look to take day trades on the FTSE short from the top area of the trading range and long from the bottom area of the trading range. Once I have completed this overview of the market then I will concentrate on the 5 minute timeframe chart. I will place four horizontal support and resistance lines on my 5 minute chart. My lines are multicoloured (always the same colours) and they will be at the four most important levels of the last session of trading. The previous days open price, close price, low of the day and high of the day. Time and again these levels play important roles in the following trading day. Just prior to the open I will check to see what the current momentum is like in the market. Is the FTSE trending upwards or downwards on the 5 minute timeframe or is it in a trading range. I will generally use either the MACD indicator or Stochastic to check to see if the current momentum is bullish or bearish. I will also have the 8, 20 and 90 day EMAs on my chart. The first trade of the day often presents itself in the first minute of trading as the 8am candlestick is normally quite large and can in itself be tradable. I have already prepared my charts and so I have the first of the key elements to trading in place – this is the context for my trades. I know which levels to look out for in terms of possible reversals, pullbacks and trend continuation trades. The next stage of the process is to watch the 5 minute candlesticks form and notice the candlestick patterns and chart patterns emerge during the trading day. This is the second element – the content. As I mentioned already, price action analysis is a fundamental skill in trading. Assessing the candlesticks and patterns as they present themselves and noticing what happens at the key levels will form the bulk of my activities as I trade. The key price action that I am looking for is based upon pin bar candlesticks, inside bars, outside bars, and traps. These are the “events” in price action during the trading day that I find produce the best trading opportunities. 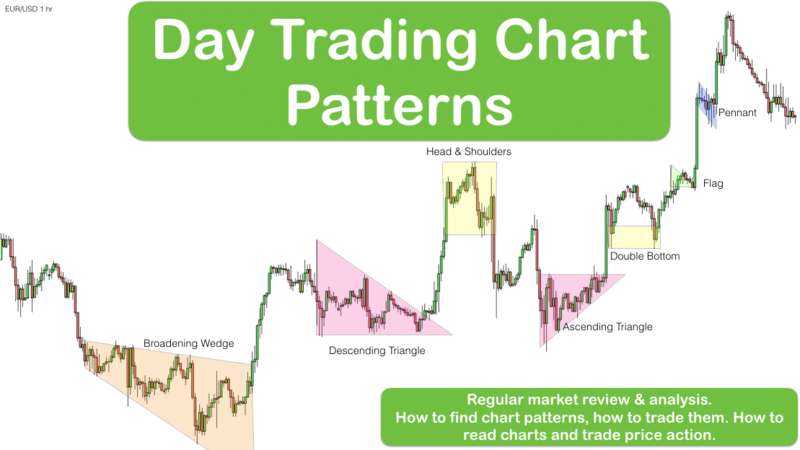 These are the signal patterns that I look for prior to entering a trade. Do the candlestick patterns have confluence with my trendlines, support and resistance levels? Is there a chart pattern like a head and shoulders or double top, double bottom that exists and that is confirmed by current price action? At this stage I have a few seconds normally to assess the risk and reward for my trades. I usually look for a 2:1 reward to risk – minimum 1:1. Where is a reasonable target for my trade and where do I place my protective stop? Once you have been trading a while and with the right education you can very quickly make decisions on these aspects. Based on the risk of the trade I will decide upon my trading quantity. This helps me to ensure that I am managing my trading account effectively – this is Money Management in trading. Once I have a good trading signal and the risk/reward for the trade makes sense then I wait for the market to confirm the signal. When it does then I will enter a trade. 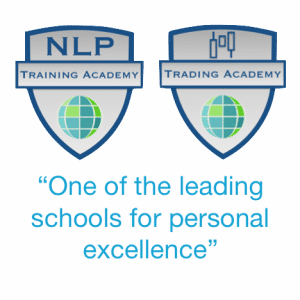 Trading is hugely enjoyable, it is a big challenge and with the right skills you can day trade the FTSE for a living quite comfortably. There are usually several excellent trading opportunities every day. 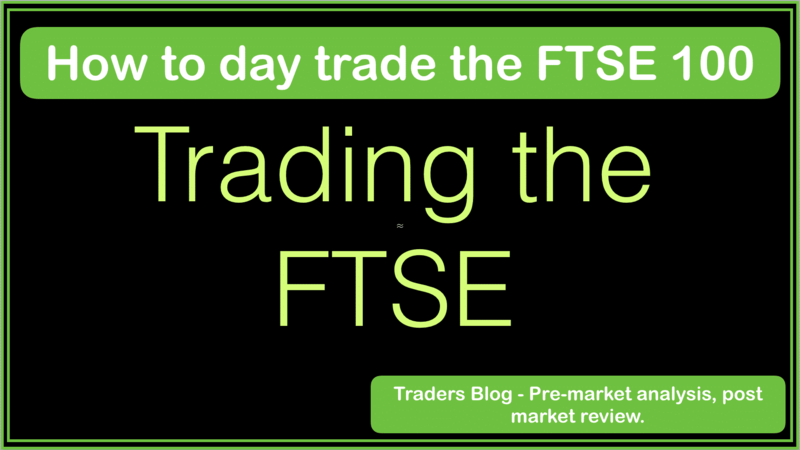 The articles in the links below take you through my daily analysis, chart patterns, the trades that I took and didn’t take, they illustrate for yoTrading the FTSE Novemberu my version of how to day trade the FTSE 100. The articles are best read from the bottom of the page to the top as they are compiled in blog format.